It says it in the Backtime profile: dime store observer on all things. When I started blogging over 4 years ago, I never thought I'd envision the day that a video game review would ever be posted. 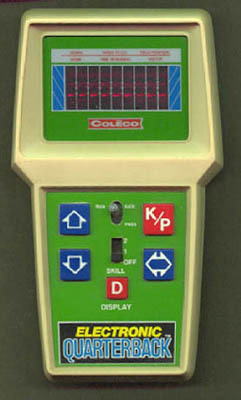 Despite having an Atari and the handheld pioneer Coleco Quarterback as a child, and dumping several hundred quarters into Tetris throughout my college years, I never considered my youth misspent on video games. I certainly didn't waste my time with them as an adult. Until now. The kids love their Wii, and I have been sucked in. And despite the reputation, video games do have some redeeming qualities. Kids with delayed development in motor skills gain eye-hand coordination. Kids with autism learn to use their imagination to think in the abstract and find shortcuts. Of course there's the problem of obsession that all kids have whether it's with TV or computer time. A balance needs to be struck. The 8-year old guy loves his car races whether it be Cars 2 or Mario Kart. The 5-year old girl loves Tangled, a role-play game based on the Disney movie. It's actually pretty exciting to play as Rapunzel (her) and Flynn Rider (me) - they need to partner up to work together to accomplish tasks. 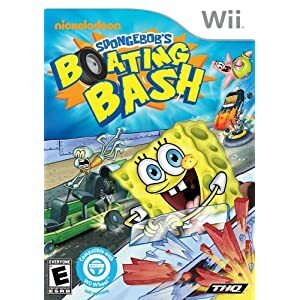 She's a little young to master the car races but the perfect blend has been found in SpongeBob's Boating Bash. Not only does it have the characters that she knows and loves (and could watch endlessly), but the game's main thread is boating school. The premise is that our friend SpongeBob has failed his boating test at Mrs. Puff's Boating School 78 times in a row and is hopeless. At least until shady shyster Seymour Scales enters the game. He offers SpongeBob the opportunity to take his D.R.I.V.E. classes. D.R.I.V.E. stands for Destruction, Recklessness, Impairment, Velocity, and Escape. The challenges are a cross-mix of boat races and demolition derby. The controls are fairly intricate - there are two separate brakes: one to drift to a stop, and a hand brake to make hairpin turns. But most importantly in Boating Bash whether you're a kid or a novice gamer dad, it's OK to crash - often.